Pakistan’s IT industry has been on the rise in recent years with e-commerce portals taking the lead and generating considerable revenue and traffic. While there are several top quality online shopping portals in the country now, thewarehouse.pk is the first such portal to allow customers to design their own products. 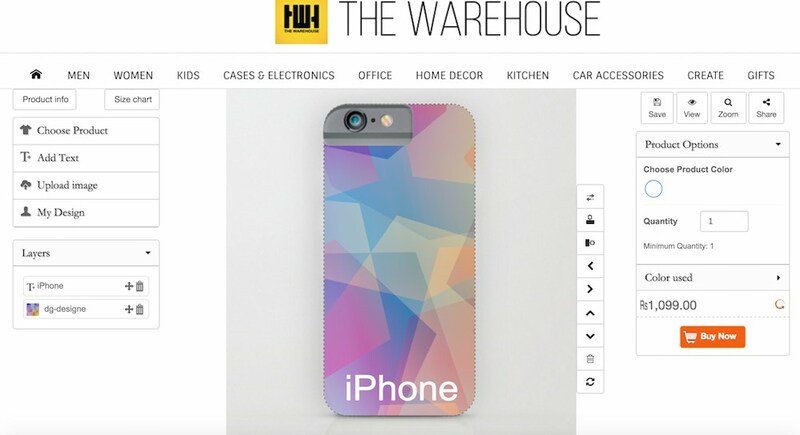 Where most portals are selling pre-designed items like shirts, mugs, cushions and phone cases, customers using thewarehouse.pk can now access the design your own product feature to choose custom images and text to go on their favorite items. Founder Attah Ullah shared that the reason behind launching this new feature was the fact that most customers are unable to find the perfect accessory or gift with the particular design they have in mind. Now, those customers don’t have to search much and can just design their own items in three simple steps to get exactly what they want. If you’re interested, head over to http://www.thewarehouse.pk/ to test out the ‘Create’ option. Let us know what you think about this feature and whether it’s something other e-commerce portals should also adopt.